I have noticed a bigf difference in pests as a result of INsight. Thanks. Very prompt and do a very good job. Always polite and helpful when I ask questions. Keep up the great work! I called Insight on a Friday afternoon because I had wasps getting into my house and asked if they could come out and kill them. The man came out the next morning at 8:00 am and sprayed them. He was very knowledgeable and we have seen only 2 or 3 wasps in the next few days and none since then. We are so grateful for Insight's help because it was a very trying time, and they had a serviceman there immediately following the next day. 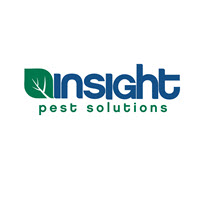 Thank you, Insight Pest Solutions, for your help. The technician, K Gaffney, was courteous and professional. He asked and listened to our concerns and explained how he would address them. So far, so good! My treatment was done on time and professionally. I especially appreciated that a wasp nest was handled...I didn’t even know it was there!